The Tankerhoosen Valley has unique and interesting places to explore; some visible and some hidden; some magical and some just curious. Deep in the woods is a small grove of pine trees. Each Christmas, for many years, as if by magic, decorations appear on the trees and then just as magically disappear after the holidays. Woods have always been considered magical places populated by fairies, elves and gnomes. I like to think that our fairies, being playful, decorate the trees each year - just for themselves or for those who might wander by. 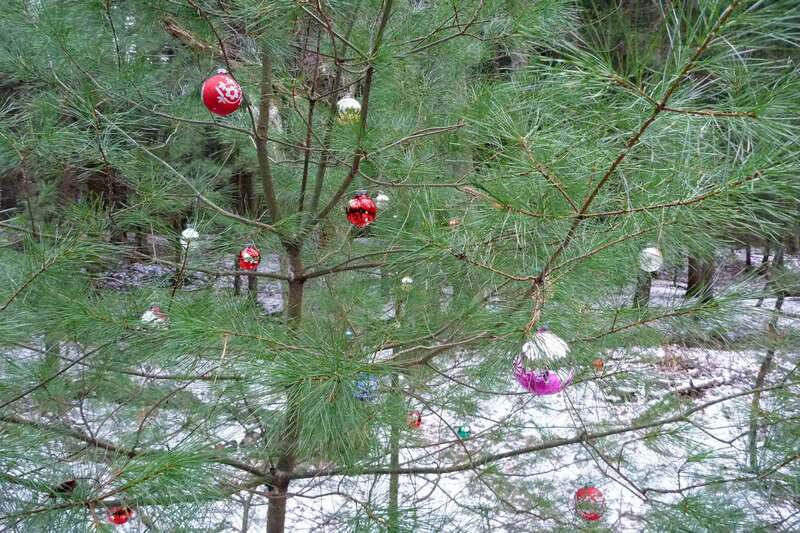 And our fairies seem to enjoy Easter as well, for during that season colorful eggs appear on trees in the same pine grove. 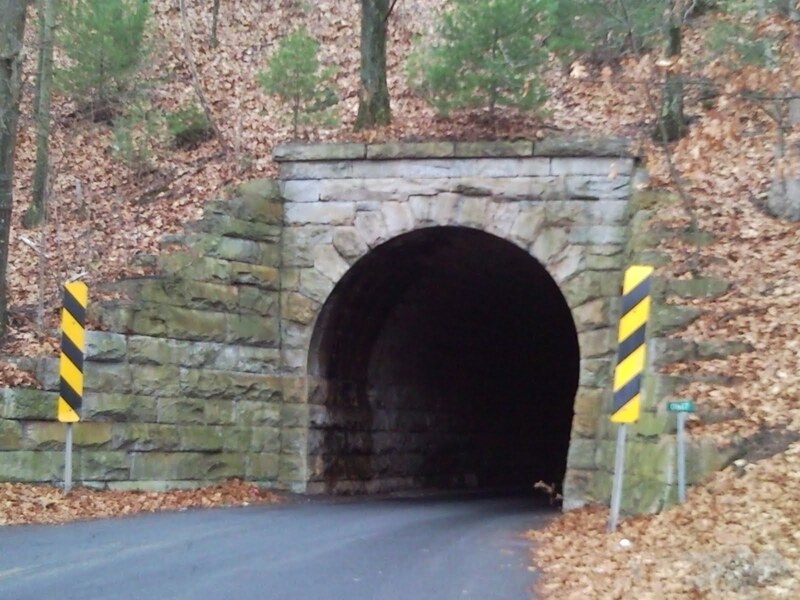 The railroad tunnel on Tunnel Road is one of the identifying manmade landmarks in the Tankerhoosen Valley. The one-lane, keystone arch tunnel was built between 1846 and 1849 by masons and stonecutters from Ireland. Periodically someone suggests it be removed to enhance traffic flow, but so far area residents have risen to defend it. It's a bit of history to be preserved and to be appreciated while awaiting your turn to pass through. Valley Falls Park is named for the falls that tumble down from the pond as Railroad Brook continues its journey from Bolton Pond to the Tankerhoosen River. But there is a second falls that few people are aware of or have ever seen. During most of the year the flow goes through the primary spillway and over the familiar falls. However, when the water level rises due to a large snow melt in the spring or a heavy rain much of the flow goes over a second falls at the southern end of dam. When water does go through the secondary spillway it disappears out-of-site as there is no easy access to view the falls and the area is often overgrown with vegetation.